Sondre Lerche talks to PopMatters about his first proper song, the new album's hit single "Private Caller", and the importance of remembering one's dreams. Seven albums deep into his still-young career, Sondre Lerche is showing no signs of slowing down. At only 28, the Norwegian singer-songwriter, in addition to releasing albums, has toured with his idols, a-ha and Elvis Costello. 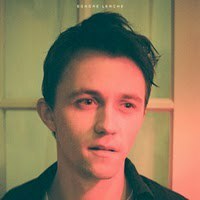 Lerche's latest album, Sondre Lerche is his first self-released effort, but it displays the same attention to detail that made his earlier records so well-received. Gifted with the ability to pen songs that are simultaneously catchy and revelatory, Lerche hones that gift through smoothly meandering vocals that sometimes verge on a perfect falsetto. Here, Sondre Lerche talks to PopMatters about his first proper song, the new album's hit single "Private Caller," and the importance of remembering one's dreams. At this point in your career, why are you doing a self-released, self-titled album now? Well, the self-release, for me, was a no-brainer. I just felt that I have a really good team around me and thought we could probably do this. The way the music business has been going, it has become more and more about self-releasing when you actually have an audience and you have stuff happening, it's becoming more and more doable. Five or ten years ago, it would be inconceivable, and now this major model has been crashing and burning. The idea of artists releasing their own music is more and more something that could work. It felt like the record to do it with, to sort of take control of it. As for it being self-titled, I was trying and trying, as I usually do, to come up with a title. But I usually have a title from a song or something and I know what it's gonna be early on in the process. With this record, it wasn't, and I became obsessed with finding the title, as I became obsessed with many other aspects of making this record. Once, in a dream, I had the title. I woke up with that feeling you have after a dream where you can't really explain what happened but you have a feeling of it. I woke up and I knew that I had found the title, I just couldn't remember. So I just decided that until I find the title, I would just make it self-titled. The cover would just say my name and nothing else, so that potentially later I could fill in the title. There is always something very poetic in your vocal phrasing, and I wondered if you had read a lot of poetry or if that just comes from your vocal training and experience. Well, thank you. I used to read some poetry when I was a teenager. I would read a lot of Norwegian poetry that I was fascinated by. As a young male trying to write songs, it felt natural for me to read poetry, it felt related to songwriting. But when I look back, it was strange that I was into it, because I never wrote songs in Norwegian. But as I started writing songs that I related to and found that I could express myself in, and my songwriting got better and better, I turned more to songs and lyrics written by other people and bringing in anything from Elvis Costello to Prefab Sprout, XTC to any kind of lyrics, really. Like the Beach Boys, they have a lot of different lyricists. A lot of the lyrics on Pet Sounds, some people find them very naive and of the time. But to me that's poetry. It's so beautiful. It's really meaningful to me. So as I went on, it was mostly coming from music but recently I've read some poetry again, like some classics. Dorothy Parker, stuff like that. And when you read that stuff, it's so rich, and it's so funny, and it's so heartbreaking, and it's just really inspiring. So that could be something lurking in the background of these songs. I read that you wrote a song called "Locust Girl" when you were 14. Can you tell me about that? That was one of my first proper songs. I played that for quite awhile and was really happy with it. It's a minor key, sort of dramatic song about a girl gone wrong. She's in the wrong company and hanging out with the wrong people and getting into trouble and compromising herself. I remember at the time when I wrote that song and when I started writing other songs, it was very important to me that it was all about serious, dark things because that's when it was real. I think that's a very teenaged idea to have. Sort of pretentious and wanting to write about whatever the big guys write about. So after a couple years I got over that and left that teenaged vibe behind where you're afraid of anything that might seem lighter in humor or in temperature, you know, I felt much freer, and I dared to write about fantasies and I dared to write about how you would want things to be, not how things are. Back when I wrote my first album and the second one came after, it was still a bit more concerned with reality but still with these flights of fantasy and these idealistic views of how you would want your life to be. At the time to me, it was very real. In a way, I've come full circle with this record because this record is decidedly more concerned with how things are and really really trying to be face-to-face with reality and to dare to see things how they are. So with these songs, I thought it would be against the purpose to dress them up too much or make too grand of stylistic gestures around these songs. I felt the need to just strip it down and just let the songs run their course and run the show and, in a way, it's how I started out when I was 14, but of course thing have changed. All of those dark stories I wrote when I was 14--very few of them were actually about my life, they were just dark for the sake of having something dark to say, whereas this time around, there are songs about my life and things that happened and I'm sure other people can relate to. So this album is a bit darker. It's a bit more concerned with reality. What is the hardest part about being a musician today? Well, I put so much emphasis on the songwriting, so writing songs is the most challenging thing. It's also the most fun thing. It's the most frustrating thing. Somehow all this makes sense, but I've always felt like I've grown into the role of a singer, I've grown into the role of a guitar player because I've played so many shows. I do a lot of solo shows, so I have to make the most of it, and I've found ways to do that that are really exciting to me as a musician. But I feel that I wouldn't be singing and I wouldn't be playing if I wasn't a writer. My main ambition is to write songs that really motivate me to perform. For a while, as a writer, I was doing anything to try to not sound like myself in a way. I did a couple records where I really challenged the idea of who I am as an artist. The result was that I felt like I could do anything with my music without camouflaging who I am. Somehow my songs always come out as sounding, for better or worse, as my own. Even when I feel like I've done something new, it may be new to me, but people always recognize it as coming from myself. I'm embracing that now. I'm more excited about that. I can do so much and still be recognizable as myself, and that is something I'm more confident in. When you write songs, what comes first? Usually, the music happens first, or at least a spark of melody or some chords. I just sit with my guitar and a tape recorder and write, record parts or little melodies that I tie together. As I go along, words will often appear with the music. But it's a very intuitive process. I don't sit and write charts. I need a tape recorder to remember some of these. Sometimes you feel like you have a melody you'll always remember, but it doesn't always work that way. Things can slip away like that title in the dream. Sometimes you feel like you have something really good, and there's no way you're going to forget it, but that's not necessarily the case. What does the live show for this tour look like? It's gonna be really cool. It's going to be the first time I tour with a band in almost five years. And it's going to be a brand new band with some of the people who played on this record. My drummer, who usually plays with Regina Spektor, and he plays on a lot of the record and is just an amazing musician to perform with. We've already done some shows in Norway. He's just fantastic, a drummer of my liking. And also I'm going to have Dave Hartley, who plays in The War On Drugs, he plays bass with me. And K Ishibashi, who plays with Of Montreal and did some string arrangements for this record, is going to play violin and keyboard. What's it been like for you opening for a-ha, Elvis Costello, and others of your personal heroes? It's daunting in a way. It's strange, though, when you are sort of hired by your idols to do a job. As much as it is daunting, it's exciting and all that. You sort of switch on that artist or professional mode. You are there to do a job and put on a show for them and their audience and show them what you do. That's what they asked you to do. So you sort of flip the switch; you turn it on. Of course, the circumstance of it is very exciting for me, like being asked to open for Elvis [Costello] on two tours. Usually you get the call once and do a couple of dates. And to be asked again for an entire month run is pretty cool and is sort of an affirmation. And it's also cool because you get to see your favorite artist live every night from the side of the stage or wherever you want to be. And you get an inside view of how it's done, what it takes. "Private Caller" is such a perfect song to be the single from this record. Did you always know it would be the single? Yeah, it's funny 'cause you can't be too conscious about these things, and when you write you can't think too much about it. But I was just a couple weeks away from recording the album and I had all the songs, I had way too many songs. I had sort of a vision of what the album might be in terms of what songs, what dynamics, but I did worry that it was going to be a bit too dark and too subdued. I always like having a single, something that can open up the album to people beyond your own, in a way. Some artists are really good with that, and I like that. As a songwriter, I love any challenge. I was asked to write a song for Dinner for Schmucks last year. And it was such a fun challenge to write some of the score, write the chorus, write the lyrics that relate to the film but not too much. So in a way, like, I was hoping for this record that I'd write one more song that had that energy that I like in certain songs. I have a couple of songs that I still play from the older records that have that extra sort of energy that a song has when it really corresponds with people, and you can't force it, but I was hoping I would have something like that for this album as well. Then one day, I wake up, and in 30 minutes I had the music and most of the lyrics for "Private Caller." I sat for hours afterwards just developing the structure and the parts that I had, but it's funny when you just know that this is the one, that's the song. Of course, it's different from the rest of the album. It's a bit wider in tone and it has that drive and energy, but I love what it brings to the album as a whole. I just knew we really had to bring it for this one, and that's what we did. The recording was really quick and intuitive for this one. So I'm excited about that; it feels like a good one.